In Bangladesh, fish and fisheries contribute 73% of total animal protein intake; provide full time employment to 1.4 million people and part time work of 11 million, and contribute 10% of total export earnings and 5.3% of GDP. An estimated 73% of rural households are involved in subsistence fishing and fish farming (Mazid and Gupta 1997). Pearl culture is a type of aquaculture with high economic value. Now, it is sure that the prospect of pearl culture is bright and promising in Bangladesh due to the warm weather with twelve months growth period both for pearly mussel and pearl. 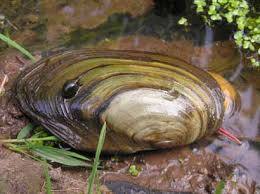 Freshwater mussels, which used for pearl culture, can be cultured in the fish pond and other suitable water bodies. Mussel filters the water as water cleaner; therefore, the mussel culture is environment-friendly. Pearl culture can be conducted in any kinds of water bodies, like puddles, ponds, rivers, lakes, reservoirs, etc. So, it is easy to extend in rural area with low input and high output. Pearl culture operation can be done by women. Therefore, pearl culture will provide more employment opportunities to the rural women who will play important role in social an economic development of Bangladesh. Therefore, pearl culture has the extremely significant economic impact, social impact and environmental impact. It is expected that pearl culture will become one of the important component of aquaculture in Bangladesh in near future. This section presents relevant background data on sales, costs profits, the market, competitors, distribution, and the macro environment. Pearl oyster farming is peaking up worldwide. It is an important foreign exchange earner for developing countries, with promising market in Europe and North America, where there is a great demand for cultured pearl which are cheaper than the wild peals. In 1990’s over US $900 million worth of peals were produced in the world. French Polynesia and Japan deserves special mention as it is considered to be among the world leaders in the cultured pearl production. Bangladesh is traditionally a land of rivers, canals, lakes, coastal and marine saline water. It is gifted with resources of pearl cultivation which is unknown to many of our own countryman. The climate, chemical composition of soil, physical features of water and temperature are favorable to the growth of pearl producing mussels as well as pearl production. Bangladesh can earn tk. 1500 crores annually by exporting pearls as well as possibilities of 20-30 lakhs employment generation in the country. There are is no such firm who produces freshwater cultured pearl in Bangladesh. The major competitors of Pearl World Ltd. are the people who live in houseboats, collect them for the shells which are converted into lime (lime is an ingredient in chewing beetle nuts, which is very popular in Bangladesh). Occasionally, natural pearls are collected and are sold in jewelry and novelty shops in Dhaka and other large towns throughout the country. These pearls are beautiful, with a deep lustre and are expensive. They are commonly termed as pink pearls, although the actual colour is golden. To capture the foreign market such as Europe and North America, our main competitors are Australia, Japan, China, United States, Indonesia, Malaysia, etc. This section represents data on the size and importance of each of the distribution channel. We will collect mussel from inland bodies of water such as lakes, rivers, ponds and dams through the help of river gypsies. Then we collect, gather, operate and cultivate the mussel for culturing pearls in our farm. 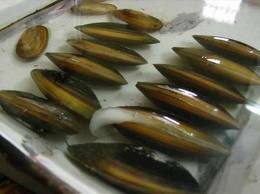 After culturing pearls, we collect those from the mussels and gather them for packaging in different grades. After packaging, we take all those packed pearls in our operation unit, and then we carry all those packed pearls in different jewelry shops for local distribution and to airport for foreign export. The producers and the final customers are part of every channel and the number of intermediary designate to the length of a channel. We use Zero – Level marketing channel that means we directly send products to the customers without the help of any intermediaries. We are totally liable to the quality and accurate quantity of product. So our marketing distribution channel is likely the forward-flow channel. Pearl World Ltd’s operations and policies affects tremendously in demographic, economic and socio-cultural sectors of macro environment. We assume that about 90 percent of our foreign buyer contact with us and place order through online and over telephone. Because they have not enough time or possibilities to verify the quality of pearls of Bangladesh. One thing is very important for them and that is maintaining the delivery of product in time. So Pearl World will be very much concern to maintain this rules of time and ensure the high quality with cheaper price without any compromise. SWOT analysis identifies the main opportunities and threats, strengths, and weakness associated with the Pearl World Ltd.
Equity capital is more than debt capital. Not engaged in unfair business practice. Low cost and expert labor. Only one company that do production to export of pearls. Zero level marketing distribution channel. Looking for huge market coverage. Maintain buyers’ expectations without any compromise. Unable to collect mussels in due time. Lack of knowledge of peoples’ behavior in market about pearls in Bangladesh. Facing strong foreign competition for pearls and local competition for fish. This is completely new business idea in Bangladesh. World wide the demand of pearl are increasing. Can capture the small budget group of people. Ability to create a good market position. Major involvement in production to exportation. In future, we are going to produce oyster or mussels in our own farm. Our competitive analysis is based on Michael Porter’s five forces model that determines the intrinsic long run attractiveness of a market or market segment- industry competitors, potential entrants, substitutes, buyers and suppliers. We have divided our segments in 2 ways- foreign and local. In local segments, we are the first company in our country that produces cultured pearl. So, there is no such kind of competition arises in locally. For the foreign market, we face some leading and famous cultured pearl company with whom we have to fight for capturing foreign market. It is not able to measure about the entry and exit barriers of this industry locally because we are the first company in this business in our country for the first time. The entry barrier is high for us in foreign market because there is a high and tough competition is present. The artificial pearl and stones along with imitation jewelries can be the potential substitute products which may cause threat to us. They provide cheap price but does not ensure high quality, which we promise to provide to the customers. High quality with cheap price. Artificial coloring of cultured pearls. Though there is no organized supplier in our country, so there is no existence of suppliers bargaining power. The marketing mix is generally accepted as the use and specification of the ‘four Ps’ describing the strategic position of a product in the marketplace. A-1: Top pearls-perfectly round, pink, flawless and lustrous. This class may also include pearls with small blemishes of the size of a pin point. A-2: First class pearls – with slightly larger pits and protuberances. When treated these pearls become indistinguishable from the pearls categorized as A-1. Features: fairly large flaws stain marks, creamy in coloration, and irregularities in the shape. Features: wild shaped, badly coated, heavily marked, clayey lumps, half good and half bad. These pearls are usually referred to as ‘trash pearls’. Generally, in our pearl culture farm the combination of class A and class B pearls should account for at least 60 % of the gross production of cultured pearls for it to run economically. The remaining 40 % of class C pearls are usually rejected. However, their nuclei can be often salvaged and reprocessed. As we cultivate pearl and fish together as a mixed culture, we will cultivate “Rui” fish with oyster in a same pond. A marketing channel is the particular set of marketing channels employed by a firm. Our distribution channel is divided according to the marketing channels. When we consider consumer marketing channels for pearls, we use zero level distribution channels from manufacturer (Pearl World Ltd.) to consumer and for fish; we use one level distribution channel containing one selling intermediary such as wholesaler. When we consider industrial marketing channels for pearls, we use zero level distribution channels from manufacture (Pearl World Ltd.) to industrial customer (jewelry shops). Product’s price can be determined in a variety of ways. The most important factors taken into consideration when valuing cultured pearls are lustre, color, shape, surface and size. The most important indication of a pearl’s quality is lustre. The lustre of a pearl refers to the glowing appearance of its surface, and is judged by it brilliance and ability to reflect light. A pearl with a high lustre will be very shiny and show reflections like a mirror while a pearl with poor lustre will appear very milky or chalky. Lustre is determined by the quality of a pearl’s nacre-its transparency, smoothness and overall thickness. Factors affecting the quality of the nacre include the cultivation place, the health of the mother oyster, the length of time spent in the oyster, pollution and the type of oyster used. Only strong layers of nacre can produce deep lustre. It is better not to compromise on lustre as this feature cannot be hidden or enhanced by its jewellery mount. Pearls present a whole palette of colors to choose from. Light colored pearls are produced in shades of white, pink, silver, gold and blue, while dark colored pearls range from peacock green and aubergine purple to all the shades of grey. Above all, a pearl’s color is a question of personal taste. Although some shades are especially rare or popular and therefore highly valued, such as rosy white, silvery white and pale gold, the color of a pearl is certainly not an indication of its quality. Semi-baroque Not round. Some examples are pear, drop, egg and button shapes. Throughout history, the round pearl has been considered the most valuable and popular shape. However, most of the world’s most famous and valuable pearls are often not symmetrical in shape, and that is because the other grading factors are also important. Shape is a good category to compromise on if you need to cut down on price. Actually, baroque and circled pearls can make for very interesting jewelry pieces. The fewer the spots or blemishes a pearl has, the higher its value. But again flaws can also be positive features. They may serve as identifying marks that a pearl is yours and not somebody else’s, and help prove that it is real and not imitation. Flaws can also lower the price of a pearl without necessarily affecting its overall beauty. The size of a pearl is expressed in terms of its diameter, which is measured in millimeters. Size has a significant impact on price. One millimeter’s difference has been known to raise a price by between 100 and 200 per cent. We don’t keep any store in our factory location but we show and sell loose pearls directly from factory site. Pearl World Ltd. will work for their promotional activities by personal selling. Pearl World Ltd. will attractive website full of information which is really helpful to the customer. For mass marketing, market segmentation is very difficult task and Pearl World Ltd. has faced many difficulties while segmenting its own market. For segmenting market and its customers, Pearl World Ltd. has followed some methods- demographic, geographic, behavioral and psychographic. In demographic segmentation, the market is divided into groups on the basis of variables such as- age, family size, family lifecycle, gender, income, occupation, education, religion, race, generation, nationality and social class. We, Pearl World Ltd. have focused on mainly 4 variables of demographic segmentation- income, age, gender and social class. Reasons for choosing these variables are consumer needs, wants, usages rates and product and brand preferences. We, Pearl World Ltd. have focused regional aspect of geographic segmentation for foreign market in Europe and North America along with local market. In this segmentation, buyers are divided into groups on the basis of their knowledge of, attitude towards, use of, or response to a product. Variables of behavioral segmentation are- occasions, benefits, user status, usage rates, loyalty status, readiness stage and attitude toward product. Pearl World Ltd. will focus on this segmentation variables- occasions, loyalty status and attitude toward product. Psychographics is the science of using psychology and demographics to better understand consumers. In this segmentation, buyers are divided into different groups on the basis of psychological or personality traits, lifestyles or values. Pearl World Ltd. has decided its different market segment opportunities, now it has to decide how many and which one to target. As target market, we choose geographic segmentation as our target market on the basis of different segment variables. As we have two types of products, so we have to target our market for both the two products. For pearls, we choose local and foreign market. In local market- consumer and jewelry shop will be considered. In foreign market- only jewelry shop will be considered. For fish, we will choose only local market- whole sale market. Deliver high quality product with affordable price. Analyzing the market and its existing competitors.